Shawn is running for office and his big contribution to society will be hot dog wieners of unusual lengths. Perhaps Shawn thinks he can deal with his breakup from Juliet if he runs for mayor? I’m not sure why he wants to bring gladiatorial justice to Santa Barbara but I can’t wait to find out. 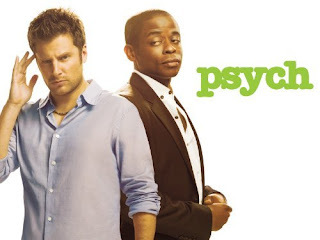 Psych airs Wednesdays on USA.